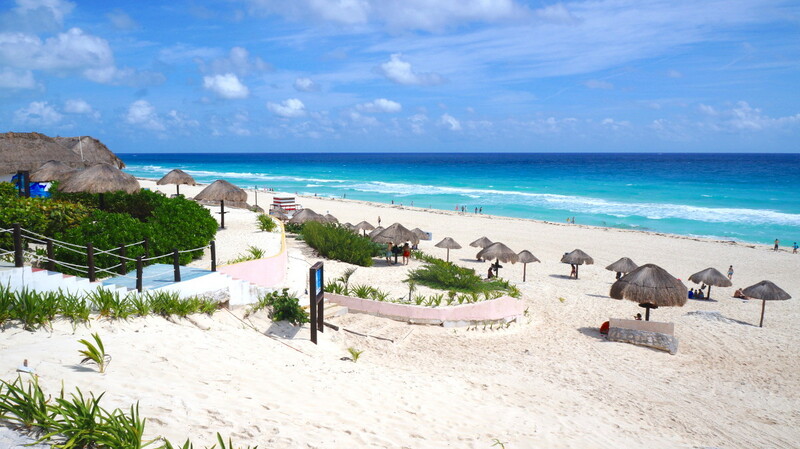 Need some Cancun Travel Tips? White sandy beaches, crystal clear blue water, fine dining and a thrilling nightlife scene – Cancún has it all! 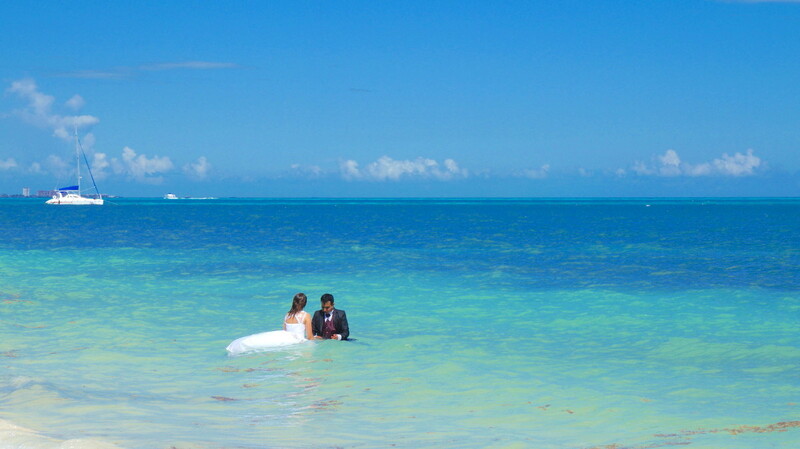 It is known as Mexico’s Mecca of beautiful beaches, many great spa-offers and pumping nightclubs. And on top of that, Cancún is the perfect starting point for your Maya expedition! This sounds perfect? It even gets better: This Mexican tourist hotspot attracts many travellers because of the low airfares. As of August 2018, airfares from the US start as low as 122 USD and from Europe from 500 Euro. So, here are some of the things you can and should do while in Cancún. Handstands never get old, do they? ACCOMMODATION: Where to stay in Cancún? My Cancun travel tips start with accommodation: Depending on your budget and the type of travel you are planning, Cancun offers two options: the centre/downtown area or the Hotel Zone (“Zona Hotelera”). For me as a nomad/ longterm traveller, I am always chasing the most economic and convenient options. At the moment I am housesitting in Merida, for example, in order to lower my budget…but that’s a different story. If you want to save money on accommodation in Cancún you’re better off staying in the city centre. We chose a wonderful hostel called Mezcal Hostel, close to the ADO bus terminal in Cancún. For one month we formed part of their team and supported the hostel in the area of marketing and guest relations. It was a great way to save money and put some action into our daily travel-life. 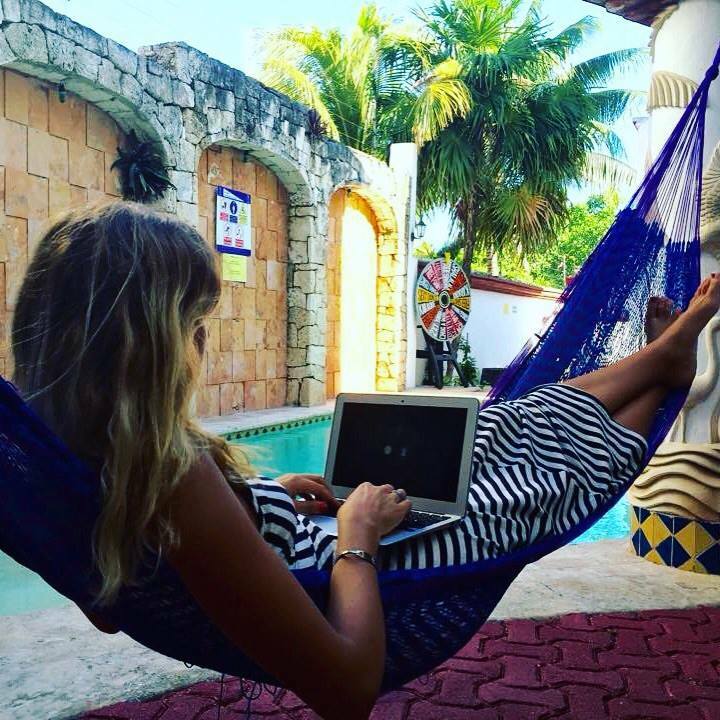 ‘Working’ on some Social Media projects for Mezcal Hostel… this is the kind of office that I like! We found this place on a website called Worldpackers which is an organisation that helps travellers and hostels around the world to connect. You don’t work for money but volunteer and receive free accommodation in exchange. On top of that, we got some free tours to some of the attractions in and around Cancún! Not bad for 4 hours of Social Media Marketing. NEED MORE TRAVEL TIPS FOR CANCÚN AND SURROUNDING? 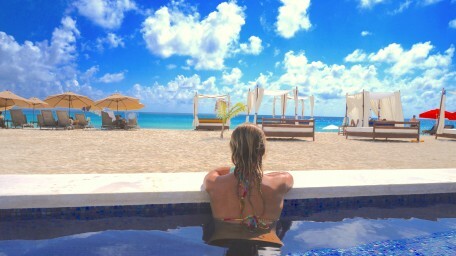 Check out my other post if you want to know which day trips you can do from Cancún! 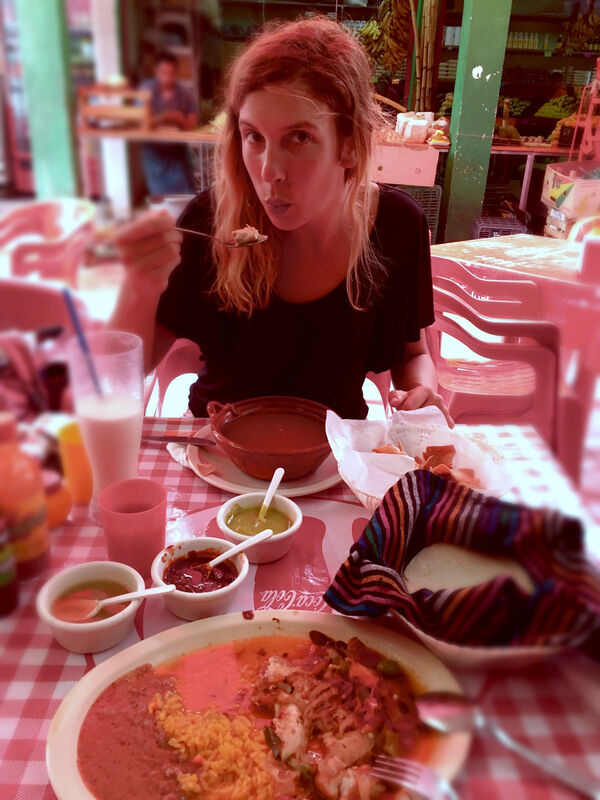 Or perhaps you are looking to stay in Playa del Carmen – here is my hostel review from our stay. I could stand there all day and take pictures of that BLUE!! 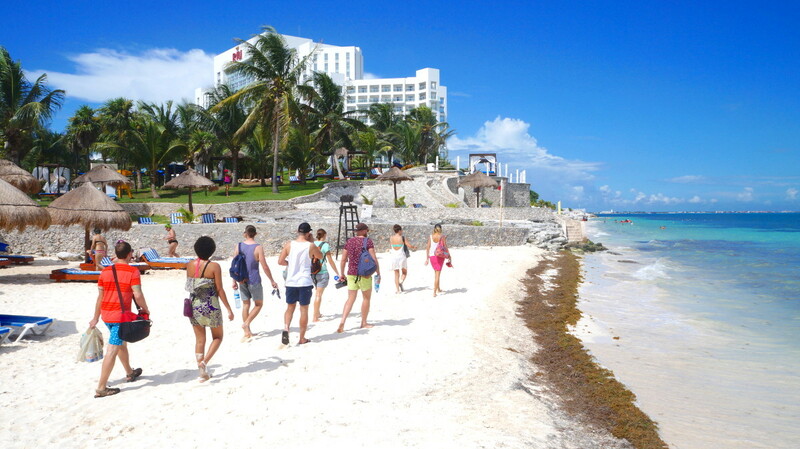 If you chose to stay in the “Hotel Zone” you’ll be surrounded by restaurants, bars, clubs and also Cancun’s beaches. And there are many of them: on the 18km long strip that divides Cancun’s centre and the beach area most of the important hotels have their beaches in front of them. Playa Delfines: Plenty of umbrellas to stay in the shade…free of charge! Bring some time to stand in line…this is a popular photo spot!!! 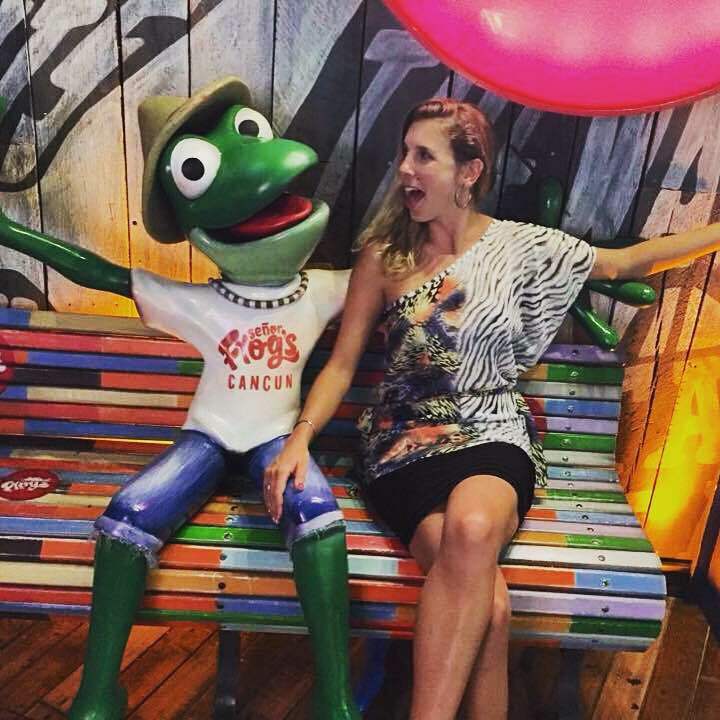 SHOPPING: What else to do in Cancun? Apart from the beaches, shops and restaurants, there is a very popular market amongst tourists where you will find all sorts of Mexican souvenirs: Mercado 28. You can buy everything from Sombreros, Ponchos, Ceramics, Pottery, Jewellery to Tequila, Sweets, Spices and more. It’s a fun way to spend a couple of hours and make sure to hang out till lunchtime, some of the restaurants sell great food. Look out for the “Menú del Día” options, where you can some delicious local food for a good price! 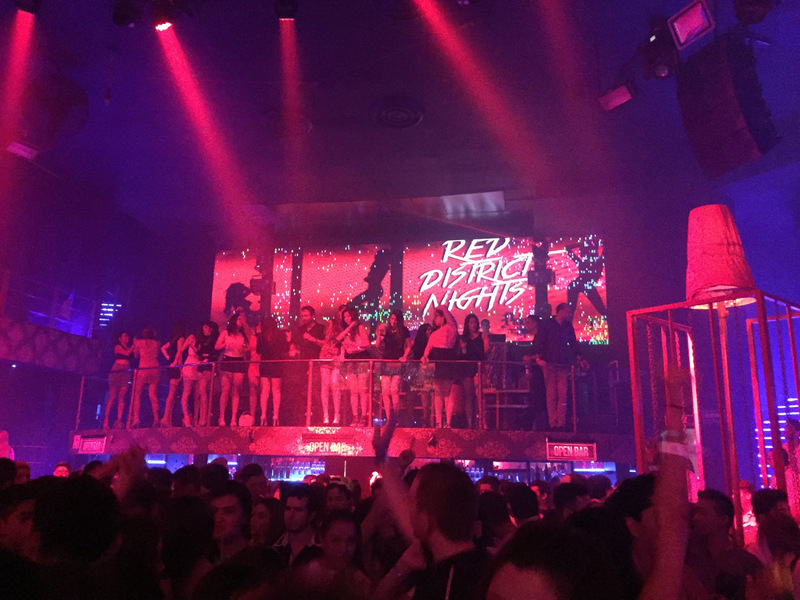 NIGHTLIFE: Where to shake your booty in Cancún? One of the main reasons people come to Cancun: it’s pumping nightlife! Stroll through the stalls at Mercado 28 and find some nice Mexican souvenirs! Eat lunch at one of the local restaurants close to the ‘Ayuntamiento’ before you hop on the bus R1 to the Hotel Zone. Sip a Margarita and watch the sunset at JC Capitan and stay for dinner! But the best part starts now: From Cancun, you can make a ton of day trips…So, make sure to check out my other blog post with travel tips on where to go and what to see in one day. This post includes a trip to Isla Mujeres, Chichen Itza, Cozumel, Playa del Carmen and Holbox Island! !